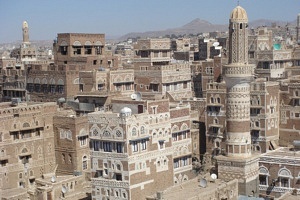 This city in Yemen, Saana, is similar in architecture with the painting, below, of a town in Saudi Arabia. 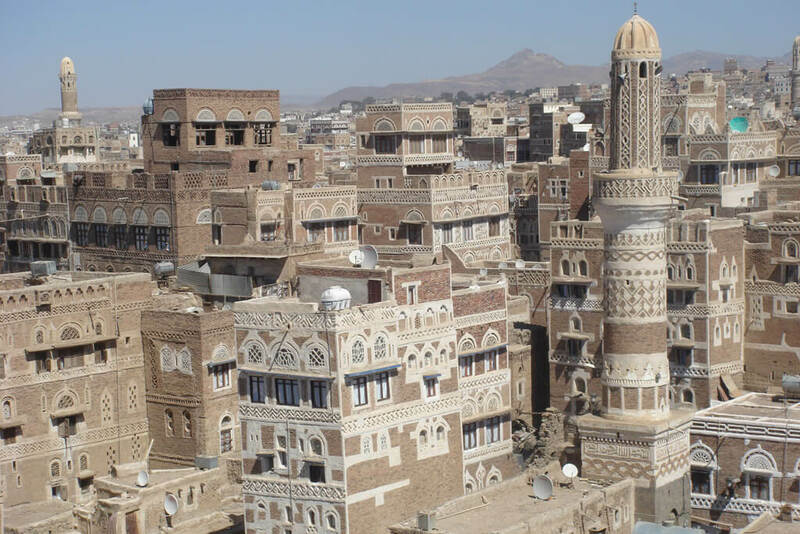 This photograph is of Sanaa, the capital of Yemen. The buildings are made of brick or mud brick with white decorations made of white paint. This architecture is similar to that depicted in the painting of Al Aflaj, Saudi Arabia made by Khaled Abdulaziz Ateeg, 12. 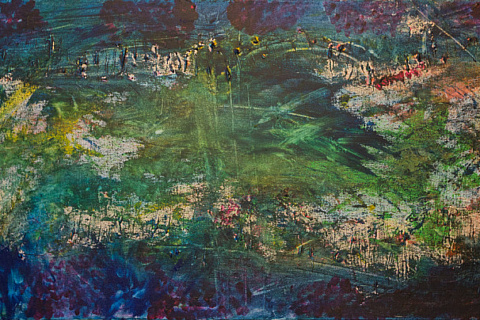 Khaled’s painting was made in the 1970s. Judging by images that I find online I think that this is not what the Al Aflaj looks like today. In the painting, the town is still a city of traditional buildings. They will have been smaller than the ones you see in the photograph of Sanaa. And they will have been of adobe–of mud bricks. 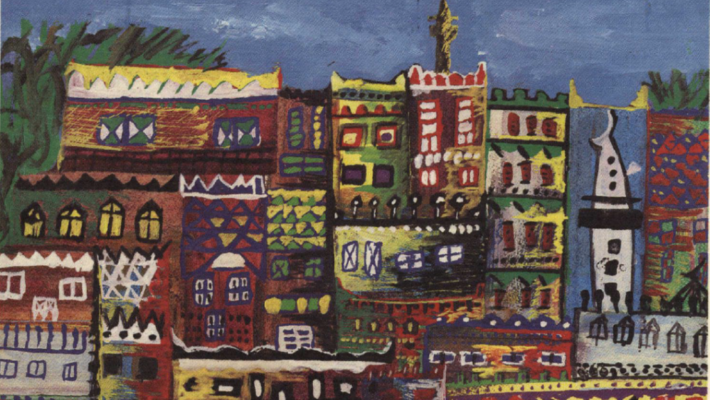 What is remarkable about Khaled’s painting is that the architectural style is clear–and at the same time he has had the courage of an artist to present the town as richly colored. Realistic. But also imaginative. Project: Make pictures of the part of town where you live, and pictures of the part of town where you shop. Include in each drawing the important details that make your community recognizably unique. Some of these details are the different shapes of the buildings, the spaces between the buildings, and the patterns the windows make. Also important might be the type and placement of trees and gardens, telephone poles, street signs, advertisements, traffic lights, street lamps and parked cars. Notice in the drawing of Al Aflaj the distinct shape of the minaret tower. If your town has a church or other distinctively shaped building or landmark you might want to include it in your drawing. 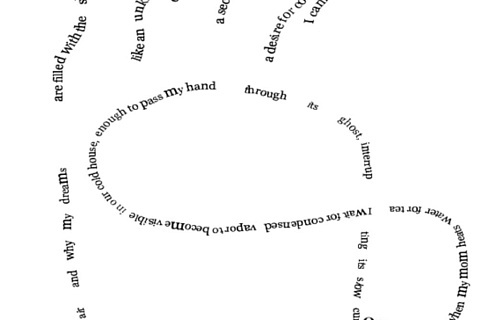 You don’t have to finish your work in one day. In fact, you probably can’t. So take your time to make a picture you can be very proud of. Like Khaled, allow yourself to be free of the constraints of your community’s real colors. Saudi Arabia is a very hot place. If Aflaj had painted the buildings their authentic brown color the image would have looked drab. What the color achieves is giving the place a sense of brightness–and a desert town is bright even if it is brown. The colors also make the town look welcoming which a brown town might not have seemed. 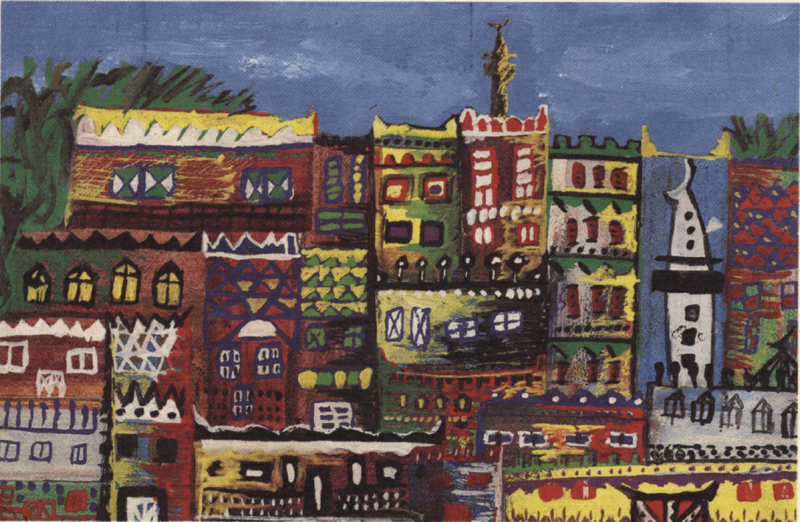 In other words, Khaled used color that wasn’t really there to convey impressions and feelings that he felt looking at his town. As you think of your own town, think of how you might change how it actually looks to get at a deeper feeling about how it looks or feels to you, that is then conveyed to the people looking at your picture.